Overcome with Corbynista euphoria, as so may others have been in the last 48 hours, I popped into town this morning to buy some new shoes. To welcome the first signs of the coming socialist republic, I didn’t just buy new shoes – for the first time since Michael Foot was party leader, I bought an entirely new style of shoe. 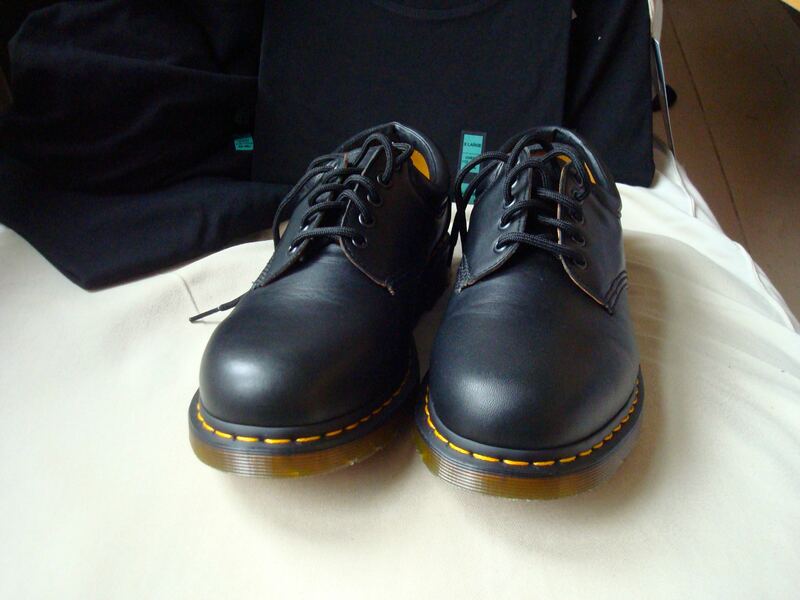 This symbolic shift from the three-hole hard leather to the five-hole soft leather Doc Marten represents not – as my critics have claimed – that the shop did not have any of the former in stock in the right size but the deeply-held belief, shared by Jeremy and I, that the labour movement is a broad church. Co-operation requires concessions, and it is incumbent upon us all to welcome diversity and change. However, after lengthy discussions over the weekend, it became clear that our new leader was utterly intransigent on the question of home-knitted sweaters and would never embrace our revolutionary comrade, the noble cardigan. This is a key point of difference on policy which I believe it would be dishonest to deny exists. If Jeremy’s clear victory on Saturday demonstrated anything, it was a desire for politicians to be true to what they believe – I want to abide by this. Given this difference, I would find it difficult to abide by the collective responsibility that comes with serving in the shadow cabinet. Furthermore, I must denounce as groundless rumour the vile calumny, being circulated by disgruntled Blairites and the Tory press, that I intend to cease wearing black t-shirts to everything – as hopefully today’s other new purchases in the backdrop of the above picture make clear. New shoes! It is a new dawn dawning indeed! Wear your Freedom for Tooting T-shirt and no one will even recognise you, not even Jeremy Corbyn! I find increasingly that my political choices in footwear are determined by what Vegetarian Shoes (a UK company) have in stock at the time. Doc Marten does now do a vegan variant on my standard footwear – but that rather confused and scared me. Those veggie Docs aren’t bad, but the Vegetarian Shoes brand holds up better. Plus, made by house elves who get paid a living wage! Go S.P.E.W.! Did you get them on Park Street? That shops sometimes got offers on. Next Next post: My Cardigan is My Kronstadt!